Spoiler alert: None of these names has made the idea more popular. “Lets [sic] just call them WALLS from now on and stop playing political games! A WALL is a WALL!” the president wrote. If the goal of his rebranding efforts is to boost the wall’s popularity, he has failed. Two polls conducted following the partial government shutdown Trump instigated over the wall show a majority of voters still oppose building the wall. Support for Trump’s wall has consistently polled below 40 percent, even as it has become more popular with Republicans. When Trump launched his presidential bid nearly four years ago, he was clear as day about his intention to build a “wall” on the southern border and make Mexico pay for it. But things got more complicated as he tried to sell Congress on the idea of American taxpayers footing the bill for it, and then tried to justify his decision to shut down the federal government over it. Trump’s claim is misleading. While some border barriers have been renovated under his watch, Congress has not appropriated a single dollar for construction of his border wall. Confused? So is the White House. While Trump has now reverted to calling his wall a wall, White House counselor Kellyanne Conway chastised a reporter last week for doing the same. In a confusing discussion with CNN reporter Abby Phillip, White House counselor Kellyanne Conway asked why Phillip and recent CBS polls on the ongoing government shutdown kept referring to a “wall” rather than “steel slat barriers.” After nearly four years of demanding a border wall even at the cost of an unpopular government shutdown, the Trump administration now appears to wish to avoid the word “wall” at all costs. “I’m asking why you and the polling questions, respectfully, are still saying ‘wall’ when the president said you can call it whatever you want,” Conway said. In cable news interviews, Conway has accused Democrats of making the wall a “four-letter word.” But it’s a word her boss is using again now too. Trump’s shifting sales pitch hasn’t been persuasive with voters or Congress. A number of polls conducted during the latter stages of the shutdown showed Trump’s disapproval rating hitting new highs, and it appears the White House was making things up when it claimed “Dozens of rank-and-file Democrats” have reached out to the administration and signaled they want to build the wall. But Trump remains unwilling to move on. During a media availability on Thursday, he said he won’t support any border security deal that doesn’t include funding for a border wall, and added that he’s “not concerned” about legal challenges he would face if he declares a national emergency in the hope of bypassing Congress to build the wall while avoiding another government shutdown. That route is also unpopular. 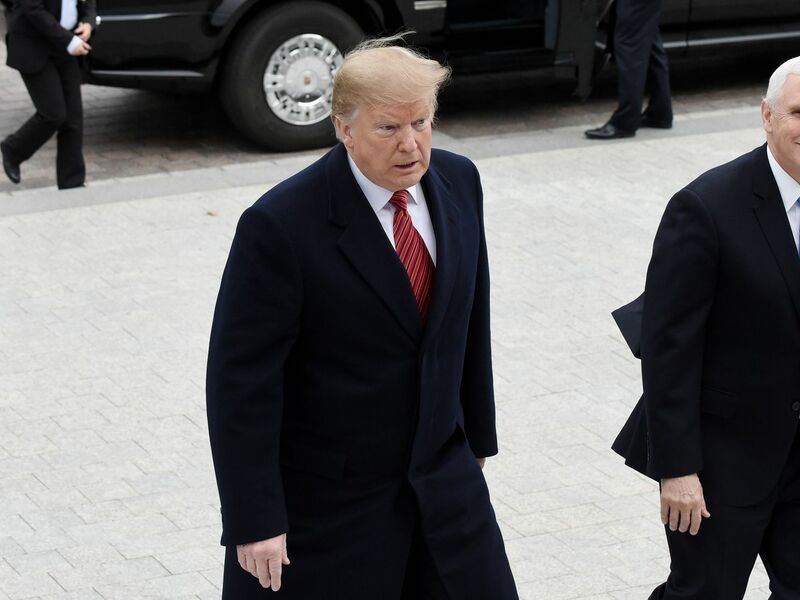 According to a Politico/Morning Consult poll released Thursday, 51 percent of voters oppose Trump declaring an emergency, compared to 38 percent who support it.